Professional, multi-functional active DI box for all studio and stage applications. Super-rugged metal encasing with sturdy oversized rubber corners for increased reliability. Contrary to passive DI boxes, the active Ultra-DI DI100 sets no limits regarding varying or mismatched impedance. How The signal is buffered by a high-quality amplifier. What does this mean to you? You get a clean, pure, powerful signal, which is immune to interference and therefore free of noise and hum - even with extremely long cables. The renowned Behringer OT-1 transformer ensures absolutely linear frequency response and ultra-low distortion, especially in the low end. The audio specifications speak for themselves: linear frequency response from 10 Hz to 50 kHz, S/N ratio of -102 dBu, and THD <0.005% at 1 kHz. The Ultra-DI can be powered by your console's phantom power or an internal 9-V battery - the DI100 automatically switches between the two. The massive metal encasing and four rugged, oversized rubber corners keep it safe and reliable even under the toughest touring conditions. The rubber corners also allow you to stack several DI100's or place them on top of other gear without running the risk of ground loops. As you can see, Behringer has thought of everything. 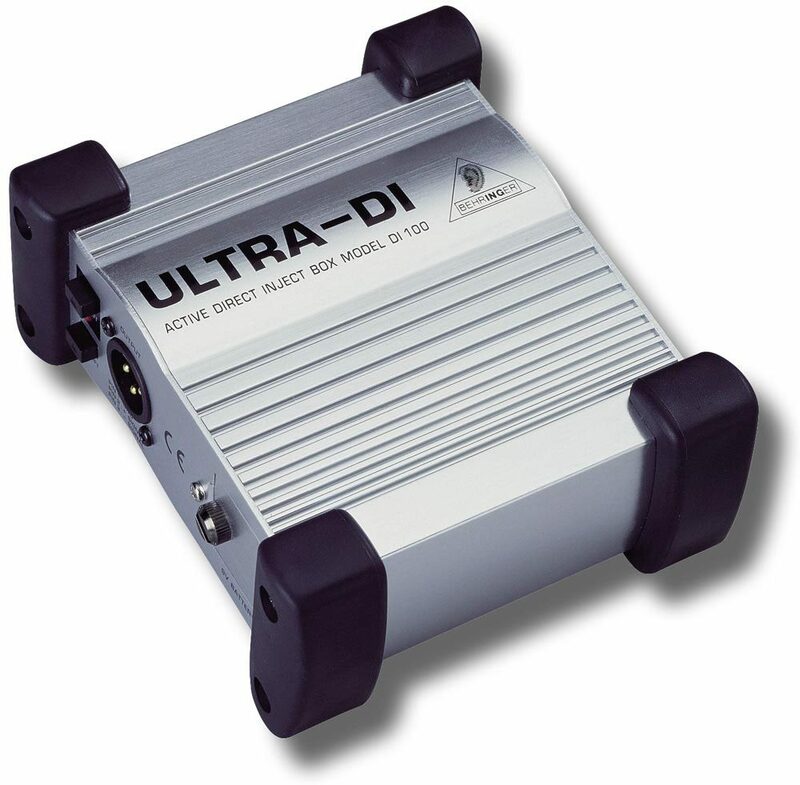 Ultra-DI DI100: the ultimate, active solution to all your DI problems. Available until 11 PM (EST) today. Mention special code 1ZT-7C37 when you call.